Feedback from the Actions on Google team. We are publishing https://voicedrycleaner.com using Google Transactions and Jovo. Our goal is to find help in overcoming our actions on Google feedback. We are receiving feedback that tells us our app facilitates transactions without implementing the transactions API. However after adding transactions on Google to do our application, we are receiving the exact same feedback without any change or further specification. If you can offer any help please email us at voicefirsttech@gmail.com or text us 650-761-0856. . Voice First Tech Get Started: voicedrycleaner.com LinkedIn: goo.gl/h8GdnM Instagram: goo.gl/5ypZke Facebook: goo.gl/bzr2Pp Twitter: goo.gl/sdyjwK YouTube: https://bit.ly/2F8eTwt . RJ Pikus Twitter: https://twitter.com/rjolayolay . Pat "Sweets" Sweetman Instagram: goo.gl/i3ufET LinkedIn: goo.gl/PyPFMW . Leave Feedback: "Alexa, Open SurveyLine" . When prompted, use Name/Code: "voice 1st podcast". James Poulter is the CEO of Vixen Labs as well as Voice2. He is also a program director for Voice Summit AI. . James Poulter: LinkedIn: https://www.linkedin.com/in/jpoulter Twitter: https://twitter.com/jamespoulter?s=09 . 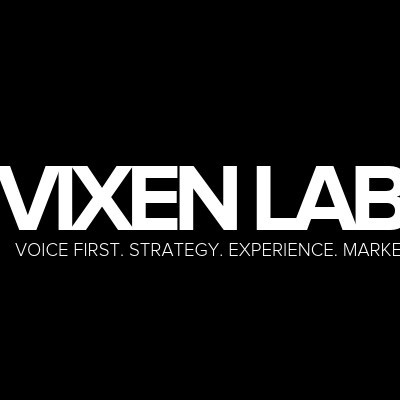 Vixen Labs: LinkedIn: https://www.linkedin.com/company/vixen-labs Twitter: https://twitter.com/Vixen_Labs?s=09 . Leave Feedback: "Alexa, Open SurveyLine". When prompted, use Code: "voice 1st podcast" . . . Voice First Tech Get Started: voicedrycleaner.com LinkedIn: goo.gl/h8GdnM Instagram: goo.gl/5ypZke Facebook: goo.gl/bzr2Pp Twitter: goo.gl/sdyjwK YouTube: https://bit.ly/2F8eTwt . RJ Pikus Twitter: https://twitter.com/rjolayolay . Pat "Sweets" Sweetman Instagram: goo.gl/i3ufET LinkedIn: goo.gl/PyPFMW . Leave Feedback: "Alexa, Open SurveyLine" . When prompted, use Name/Code: "voice 1st podcast". Daily Standup: 1) what did you do yesterday? 2) what are you working on today? 3) what are the barriers slowing you down? . 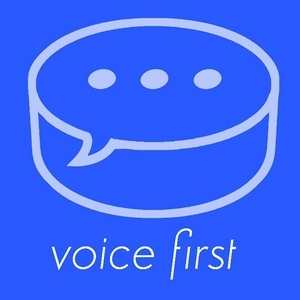 Voice First Tech Get Started: voicedrycleaner.com LinkedIn: goo.gl/h8GdnM Instagram: goo.gl/5ypZke Facebook: goo.gl/bzr2Pp Twitter: goo.gl/sdyjwK YouTube: https://bit.ly/2F8eTwt . RJ Pikus Twitter: https://twitter.com/rjolayolay . Pat "Sweets" Sweetman Instagram: goo.gl/i3ufET LinkedIn: goo.gl/PyPFMW . Leave Feedback: "Alexa, Open SurveyLine" . When prompted, use Name/Code: "voice 1st podcast". Understanding complex compound search queries along with proper conversational tactics can help build your voice user interface. Sometimes the best option is to confirm with the user that what you heard is correct. Other times it's best to imply that what you heard is the correct action and simply execute on behalf of a customer. It's up to you as the builder, designer, and creator to think about which interaction is best for your customers. . Leave Feedback: "Alexa, Open SurveyLine". When prompted, use Code: "voice 1st podcast". . Survey Line: https://www.surveysbyvoice.com/ Voice Metrics: https://www.voicemetrics.io/ Stuart Crane: https://www.linkedin.com/in/stuart-crane-11a2401/ Paul Cornewell: https://www.linkedin.com/in/paul-cornwell-8604a513/ . Voice First Tech Get Started: voicedrycleaner.com LinkedIn: goo.gl/h8GdnM Instagram: goo.gl/5ypZke Facebook: goo.gl/bzr2Pp Twitter: goo.gl/sdyjwK YouTube: https://bit.ly/2F8eTwt . RJ Pikus Twitter: https://twitter.com/rjolayolay . Pat "Sweets" Sweetman Instagram: goo.gl/i3ufET LinkedIn: goo.gl/PyPFMW . Leave Feedback: "Alexa, Open SurveyLine". When prompted, use Name/Code: "voice 1st podcast". 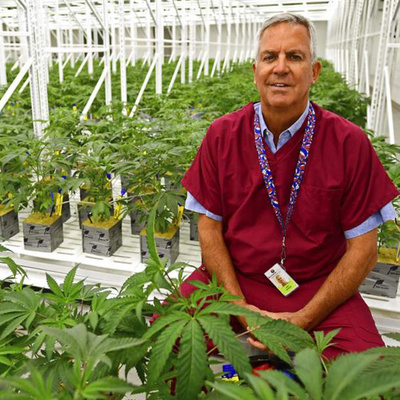 On the second episode of CEO Sunday, we interview Andy Rayburn, CEO of Buckeye Relief, a medical cannabis company in Ohio leading the nation with a pharmaceutical grade growing facility. He's also a Grateful Dead fan. . Buckeye Relief: http://www.buckeyerelief.com/ Andy Rayburn: https://investors.medmen.com/corporate-governance/board-of-directors/person-details/default.aspx?ItemId=9058459d-dc31-420a-be32-a10d3bf0e6df . Leave Feedback: "Alexa, Open SurveyLine". When prompted, use Code: "voice 1st podcast". . . Voice First Tech Get Started: voicedrycleaner.com LinkedIn: goo.gl/h8GdnM Instagram: goo.gl/5ypZke Facebook: goo.gl/bzr2Pp Twitter: goo.gl/sdyjwK YouTube: https://bit.ly/2F8eTwt . RJ Pikus Twitter: https://twitter.com/rjolayolay . Pat "Sweets" Sweetman Instagram: goo.gl/i3ufET LinkedIn: goo.gl/PyPFMW . Leave Feedback: "Alexa, Open SurveyLine". When prompted, use Name/Code: "voice 1st podcast". X2's newest game, St Noir, is a combination of voice and the Classic Board Game, Clue. At X2, they're changing the way we play and experience the next generation of gaming. They are the creators, the innovators, the game-changers. Driven by their passion for developing outstanding games. . X2 Games: https://x2.games Nolan Bushnell: https://www.linkedin.com/in/nolanbushnell Zai Ortiz: https://www.linkedin.com/in/zaiortiz . Leave Feedback: "Alexa, Open SurveyLine". When prompted, use Code: "voice 1st podcast". . Survey Line: https://www.surveysbyvoice.com/ Voice Metrics: https://www.voicemetrics.io/ Stuart Crane: https://www.linkedin.com/in/stuart-crane-11a2401/ Paul Cornewell: https://www.linkedin.com/in/paul-cornwell-8604a513/ . Voice First Tech Get Started: voicedrycleaner.com LinkedIn: goo.gl/h8GdnM Instagram: goo.gl/5ypZke Facebook: goo.gl/bzr2Pp Twitter: goo.gl/sdyjwK YouTube: https://bit.ly/2F8eTwt . RJ Pikus Twitter: https://twitter.com/rjolayolay . Pat "Sweets" Sweetman Instagram: goo.gl/i3ufET LinkedIn: goo.gl/PyPFMW . Leave Feedback: "Alexa, Open SurveyLine". When prompted, use Name/Code: "voice 1st podcast". Day three of the Alexa Conference powered by Voice First FM. . Leave Feedback: "Alexa, Open SurveyLine". When prompted, use Code: "voice 1st podcast". . Survey Line: https://www.surveysbyvoice.com/ Voice Metrics: https://www.voicemetrics.io/ Stuart Crane: https://www.linkedin.com/in/stuart-crane-11a2401/ Paul Cornewell: https://www.linkedin.com/in/paul-cornwell-8604a513/ . Voice First Tech Get Started: voicedrycleaner.com LinkedIn: goo.gl/h8GdnM Instagram: goo.gl/5ypZke Facebook: goo.gl/bzr2Pp Twitter: goo.gl/sdyjwK YouTube: https://bit.ly/2F8eTwt . RJ Pikus Twitter: https://twitter.com/rjolayolay . Pat "Sweets" Sweetman Instagram: goo.gl/i3ufET LinkedIn: goo.gl/PyPFMW . Leave Feedback: "Alexa, Open SurveyLine". When prompted, use Name/Code: "voice 1st podcast". Day two of the Alexa Conference powered by Voice First FM. . Leave Feedback: "Alexa, Open SurveyLine". When prompted, use Code: "voice 1st podcast". . Survey Line: https://www.surveysbyvoice.com/ Voice Metrics: https://www.voicemetrics.io/ Stuart Crane: https://www.linkedin.com/in/stuart-crane-11a2401/ Paul Cornewell: https://www.linkedin.com/in/paul-cornwell-8604a513/ . Voice First Tech Get Started: voicedrycleaner.com LinkedIn: goo.gl/h8GdnM Instagram: goo.gl/5ypZke Facebook: goo.gl/bzr2Pp Twitter: goo.gl/sdyjwK YouTube: https://bit.ly/2F8eTwt . RJ Pikus Twitter: https://twitter.com/rjolayolay . Pat "Sweets" Sweetman Instagram: goo.gl/i3ufET LinkedIn: goo.gl/PyPFMW . Leave Feedback: "Alexa, Open SurveyLine". When prompted, use Name/Code: "voice 1st podcast". Day one of the Alexa conference. . Leave Feedback: "Alexa, Open SurveyLine". When prompted, use Code: "voice 1st podcast". . Survey Line: https://www.surveysbyvoice.com/ Voice Metrics: https://www.voicemetrics.io/ Stuart Crane: https://www.linkedin.com/in/stuart-crane-11a2401/ Paul Cornewell: https://www.linkedin.com/in/paul-cornwell-8604a513/ . Voice First Tech Get Started: voicedrycleaner.com LinkedIn: goo.gl/h8GdnM Instagram: goo.gl/5ypZke Facebook: goo.gl/bzr2Pp Twitter: goo.gl/sdyjwK YouTube: https://bit.ly/2F8eTwt . RJ Pikus Twitter: https://twitter.com/rjolayolay . Pat "Sweets" Sweetman Instagram: goo.gl/i3ufET LinkedIn: goo.gl/PyPFMW . Leave Feedback: "Alexa, Open SurveyLine". When prompted, use Name/Code: "voice 1st podcast". 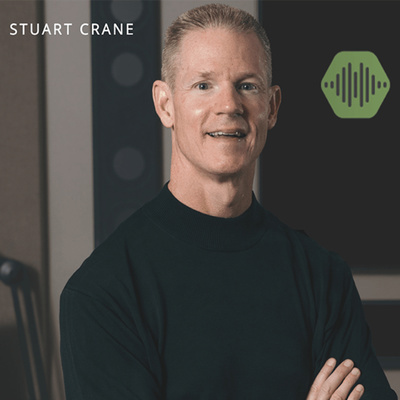 Stuart Crane is founder and CEO at Voice Metrics. he's also the co-founder and leader of the Columbus Alexa Meetup. Today's CEO Sunday is all about Stuart journey through entrepreneurship leading him to voice. Voice Metrics releases their new product, SurveyLine, Jan 15 2019. . Leave Feedback: "Alexa, Open SurveyLine". When prompted, use Code: "voice 1st podcast". . Survey Line: https://www.surveysbyvoice.com/ Voice Metrics: https://www.voicemetrics.io/ Stuart Crane: https://www.linkedin.com/in/stuart-crane-11a2401/ Paul Cornewell: https://www.linkedin.com/in/paul-cornwell-8604a513/ . Voice First Tech Get Started: voicedrycleaner.com LinkedIn: goo.gl/h8GdnM Instagram: goo.gl/5ypZke Facebook: goo.gl/bzr2Pp Twitter: goo.gl/sdyjwK YouTube: https://bit.ly/2F8eTwt . RJ Pikus Twitter: https://twitter.com/rjolayolay . Pat "Sweets" Sweetman Instagram: goo.gl/i3ufET LinkedIn: goo.gl/PyPFMW . Leave Feedback: "Alexa, Open SurveyLine". When prompted, use Name/Code: "voice 1st podcast". The Columbus Alexa Meetup is run by Stuart Crane and Paul Cornwell, the team at Voice Metrics. Today's meeting was all about Alexa at CES ( the Consumer Electronics Showcase ). Everything from keyboards to microwaves are now powered by Amazon Alexa. While 2018 was a critical year to sell the Echo hardware, 2019 will be defined by the 3rd-Party partnerships. Voice Metrics has is releasing their new product, SurveyLine Jan 15 2019. . Leave Feedback: "Alexa, Open SurveyLine". When prompted, use Code: "voice 1st podcast". . Survey Line: https://www.surveysbyvoice.com/ Voice Metrics: https://www.voicemetrics.io/ Stuart Crane: https://www.linkedin.com/in/stuart-crane-11a2401/ Paul Cornewell: https://www.linkedin.com/in/paul-cornwell-8604a513/ . Voice First Tech Get Started: voicedrycleaner.com LinkedIn: goo.gl/h8GdnM Instagram: goo.gl/5ypZke Facebook: goo.gl/bzr2Pp Twitter: goo.gl/sdyjwK YouTube: https://bit.ly/2F8eTwt . RJ Pikus Twitter: https://twitter.com/rjolayolay . Pat "Sweets" Sweetman Instagram: goo.gl/i3ufET LinkedIn: goo.gl/PyPFMW . Leave Feedback: "Alexa, Open SurveyLine". When prompted, use Name/Code: "voice 1st podcast". What Are Scripts And Compilers? What is Thin Thread Software Development? We want to express ourselves. Through collaboration we can learn from teachers and mentors. Remixing experiences with rapidly evolving technologies creates opportunity for innovation. Justin was my first mentor. He's built a lifestyle around curiosity and collaboration which allows him to create innovative startups within massive companies. In an age of rapid evolution, it's important to understand what drives your lifestyle rather than chasing material. Staying curious and genuine creates the opportunity to develop meaningful lifestyles and work which expresses who we are as people. Guest Ashuthosh Gowda discusses his expertise in Machine Learning. Discover the mindset behind finding successful ideas and solving the problems of humanity. Ashu reveals his top 3 technologies. Machine learning is now accessible to non-technical people through Lobe, drag-and-drop machine learning. Guest Andrew Shellenberg discusses the newly released Amazon Echo Kids Edition, whether smart speaker are changing how kids interact & communicate, and censorship issues surrounding "kid-friendly"
Alexa Pioneers 🔭 • Pioneers Overview ✈️ • State of Voice 🗣️ • Webinar 🌐 for Alexa: Alexa.design/pioneers • Thoughts 🤔?